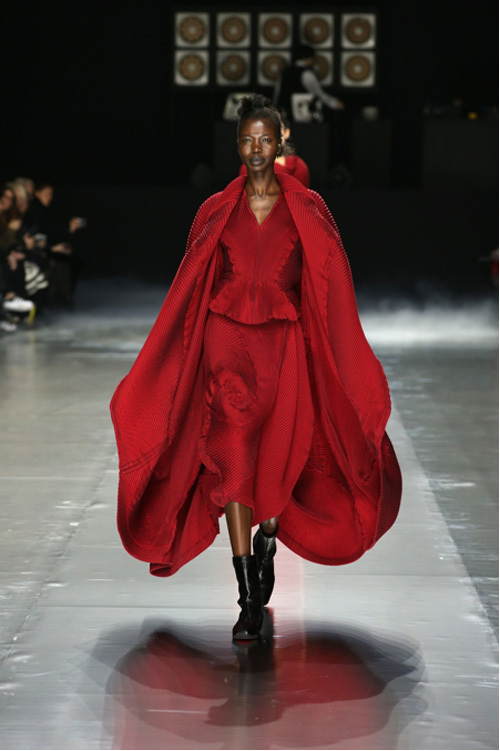 Issey Miyake, the founder of one of Japan’s most fashion-forward and successful brands, launched his eponymous label in New York in 1971, followed by his participation in the Paris Fashion Week in 1973 where he became a mainstay. His unique and exclusive concept which derived from clothing as “A Piece Of Cloth” or “A-POC” was critically acclaimed by the fashion industry globally. The “A-POC” technique defines a manufacturing method which uses computer technology to create clothing from a single piece of thread in a single process. A restless nomad, Miyake continued to explore and create eye-catching collections through intensive research, thorough experimentation and methodical development. He refined and fine-tuned the original pleated pieces from 1989 which developed into “Pleats Please Issey Miyake”. 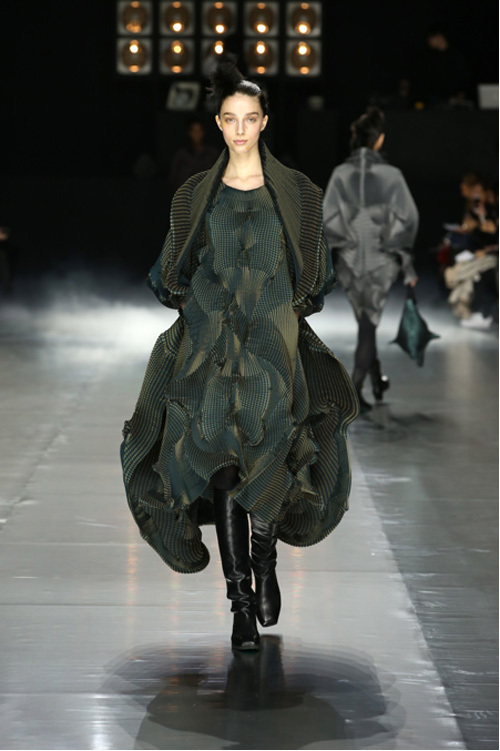 In 2012, Yoshiyuki Miyamae was appointed as the lead designer for Issey Miyake. Miyamae began working alongside Miyake and Creative Director Dai Fujiwara at Miyake Design Studio from 2001 and participated actively on their famous “A-POC” project. Miyamae presented his first collection as lead designer from Spring-Summer 2012, which was extremely well- received by media and fashionistas in Paris not only for his timeless designs, but also heralded for his heavy usage of traditional Japanese techniques and fabrics. 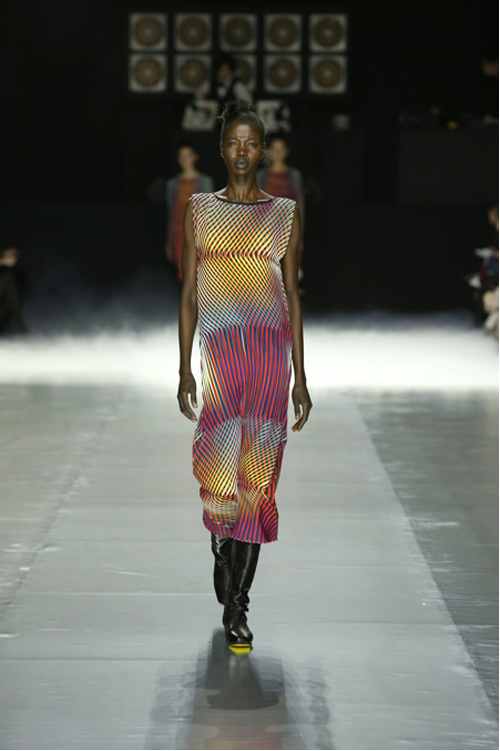 After a year at the creative helm, Miyamae proved that he was competent and capable to bring Issey Miyake into the next era with his highly successful 2013 Spring-Summer collection. 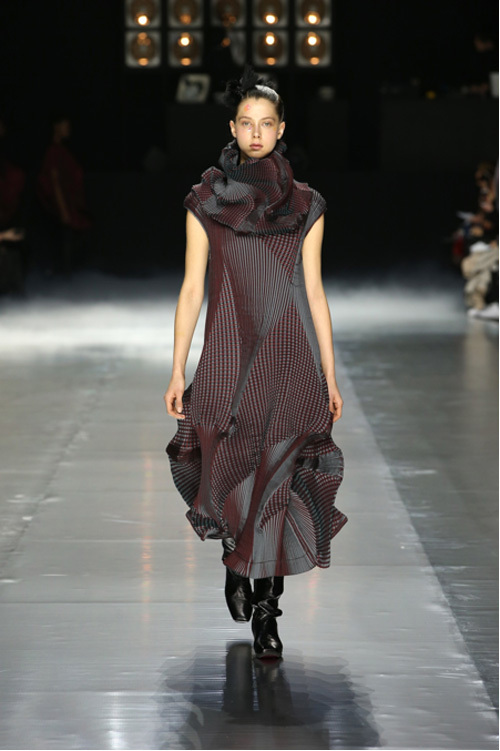 For Issey Miyake’s 2016 Fall-Winter Collection, Miyamae and his creative team focused on “Beyond”, which was this season’s main theme. Miyamae incorporated the “A-POC” design solution and used the "Baked Stretch" and the “3D Steam Stretch” techniques to create the entire collection. The amazing and crowd-pleasing collection was accompanied by the use of the new instrument, the “Kankisenthizer”. Ei Wada supported by Haruka Yoshida, both of whom are members of the Open Reel Ensemble, used photosensitive sensors and light beams which were transmuted through the blades of ten exhaust fans to re-create the scales of music. The whole show was breath-taking and scintillating. It was a showcase of the incredible use of technology to create exceptional pieces of womenswear, combining with the latest development in music technology using light beams to re-invent the scales of music. 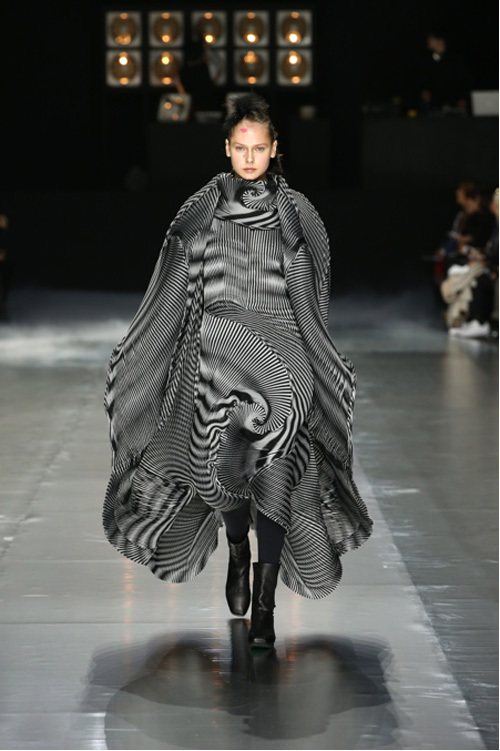 The Issey Miyake Fall-Winter 2016 collection leads innovation, presenting extraordinary designs, which are products of the combination of the depth of Japanese traditions and the use of advanced technology. The Issey Miyake Fall-Winter 2016 collection is available at Issey Miyake’s Boutique located at 02-07/10 Hilton Singapore.